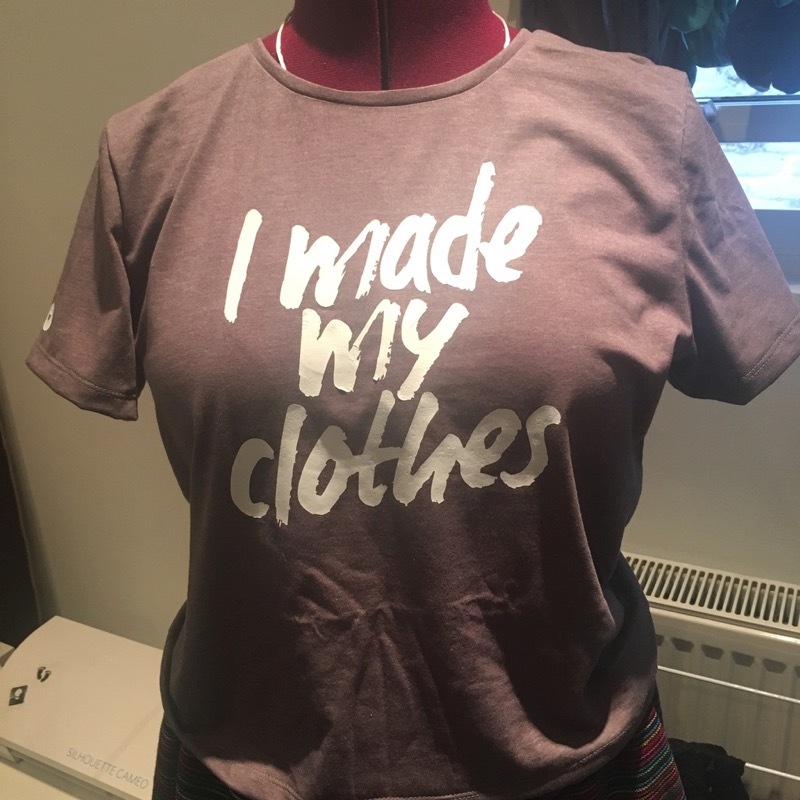 If you remember in my Fall 18 sewing plans, I wanted to make a teeshirt using the Fashion Revolution slogan "I Made My Clothes". 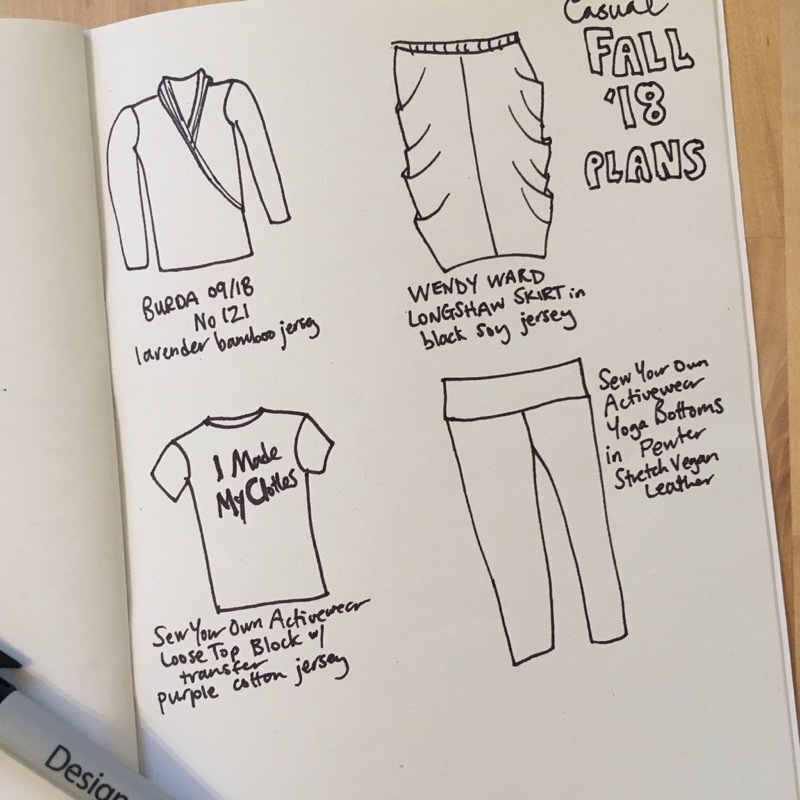 I finished all of these garments before the end of the year, for the record – I’ve just been slow to blog about them! 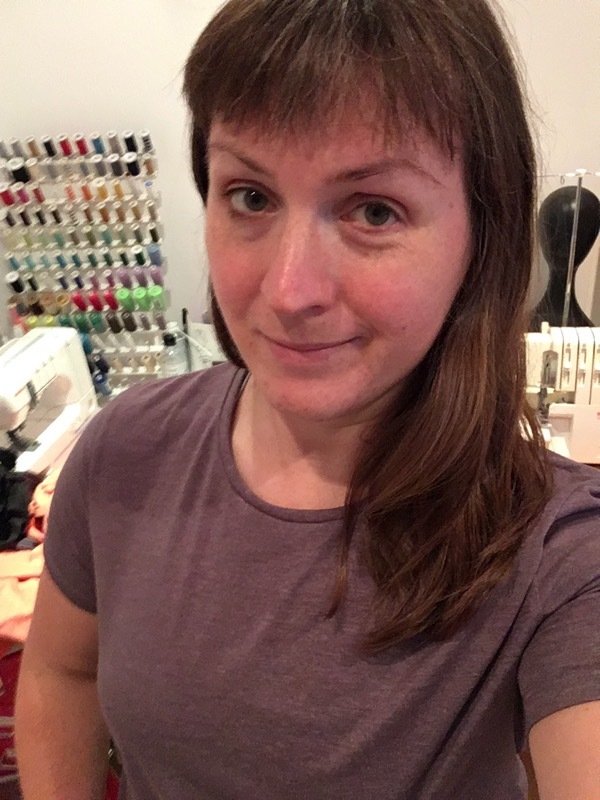 So first I cut out a Loose Fitting Top Block from my “Sew Your Own Activewear” book using 1m of purple heathered cotton jersey I bought from Ditto Fabrics over the summer to make the basic teeshirt. 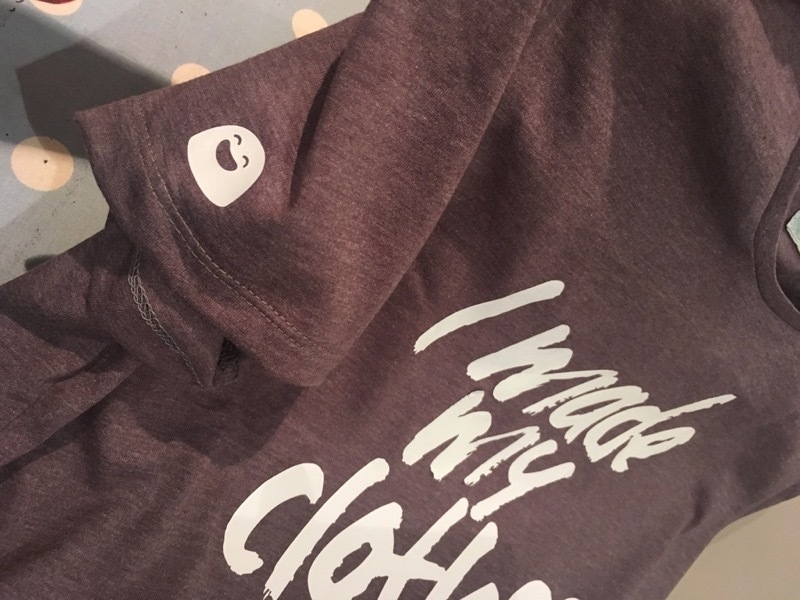 I’ve kinda lost track of how many times I turned the Loose Block into a basic teeshirt in 2018, but let’s just say it’s in the double digits! Having sewn that up, I then started the second step, prepping the heat set vinyl! 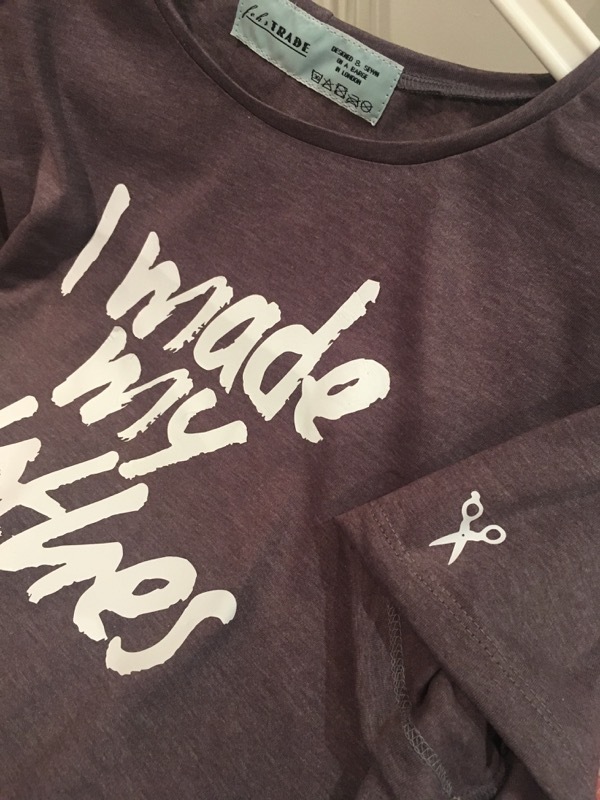 I took the pdf of “I Made my Clothes” from their site, converted it into an svg vector file, then imported it into my Silhouette cutting machine‘s software, ready to cut! 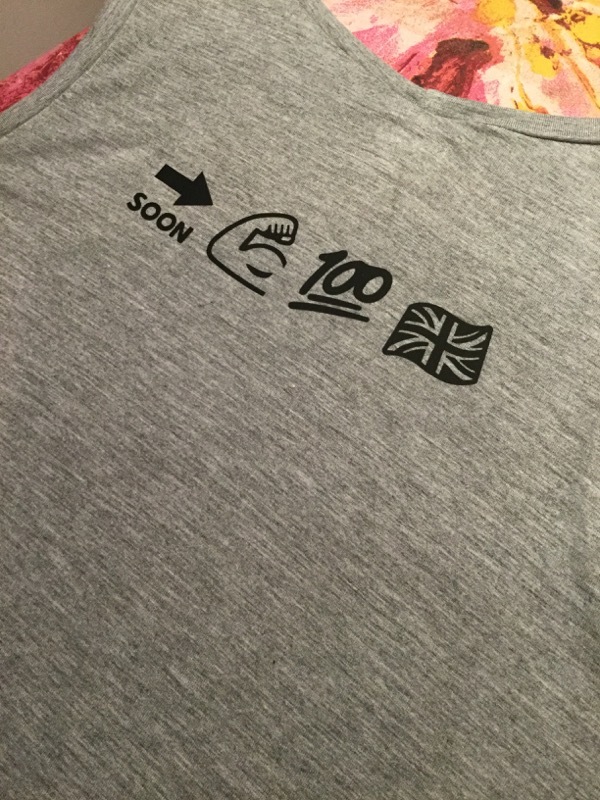 I’m super cheap and I don’t like wasting vinyl so I tend to squeeze in some random emojis when I do bigger designs ‘cos then I can iron them onto random bits of clothing whenever I fancy it without having to get out the machine and my laptop. So for this one I added a smiley face and scissors to the sleeves, too! Isn’t it fun? Everyone at my office loves this tee! 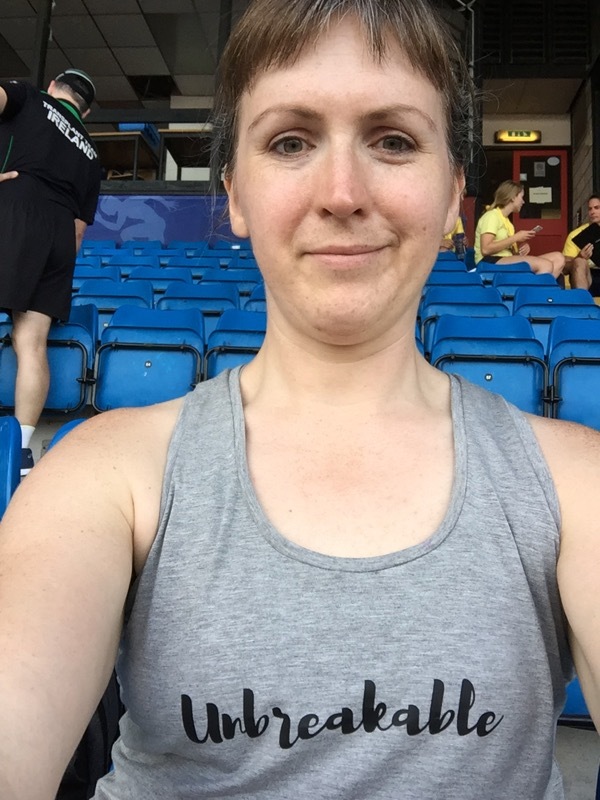 I also did a bit of customising to the grey bamboo Jalie 3245 tank top I made on camera in my Craftsy/Bluprint “Serging Activewear” class – I wanted this one to also be empowering and I made this in early August when I had barely recovered from 5 months of illness. 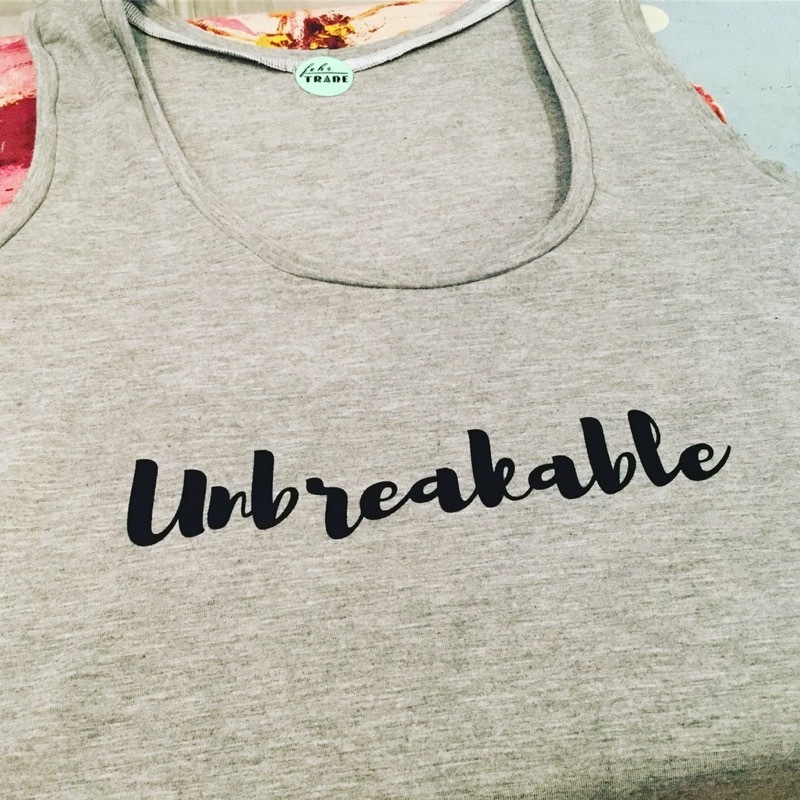 I felt like “Unbreakable” was becoming my personal mantra! 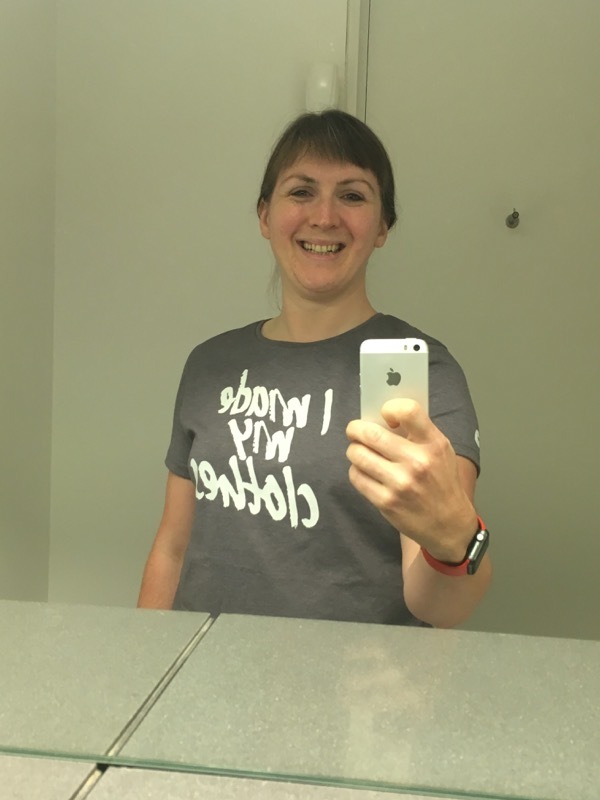 And since I wanted to wear it to (spectate at) the British Transplant Games (as I wasn’t well enough to compete), I added a special coded message in emoji to the back! Have you got a personal slogan? 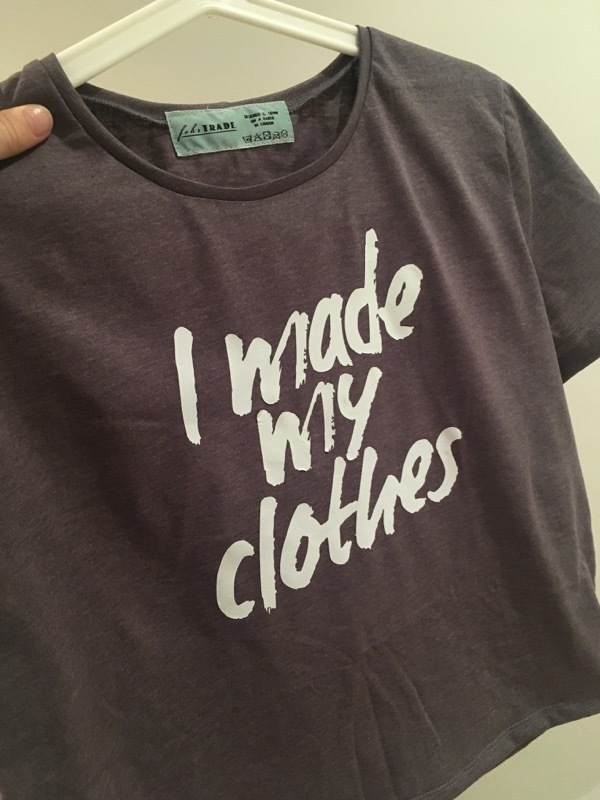 What empowering message would you add to your clothing if you could? 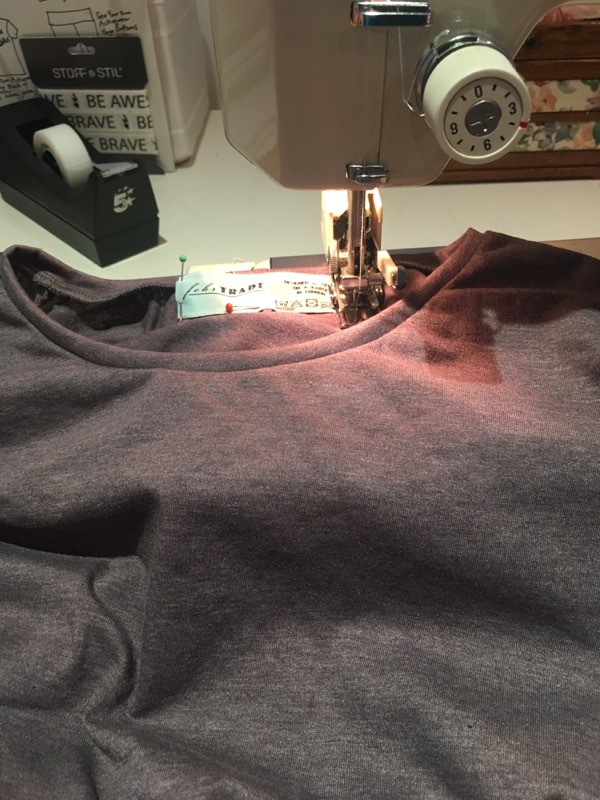 Separator image Posted in Gallery and tagged with jalie, knit, sew your own activewear, top, vinyl.